I thank you Secretary General Rasmussen for your initiative and for your leadership in driving NATOâ€™s critical mission in Afghanistan.Â I wish you good health and a speedy recovery. It is a privilege to be here among Afghanistanâ€™s friends and partners, who have done so much for the cause of peace, stability and democracy in Afghanistan over the past decade. A decade ago we jointly started our journey to fight terrorism and make the world a safer place for all of us. We have come a long way in this shared journey. We are grateful to you all, our NATO partners, for helping us recover from decades of destruction.Â With your help, we have had history-making achievements in Afghanistan, something we can all be deservedly proud of. Let me just say that we wouldnâ€™t be where we are today without the selfless sacrifices of your soldiers, the hard work of your diplomats and development officials, and your generous assistance to the reconstruction of Afghanistan. We look forward to broadening and deepening our cooperation and partnership with NATO. Just three days ago in Bonn, we adopted a blueprint for broadening and deepening our partnership with the International Community during Afghanistanâ€™s 2015-2024 Transformation Decade. 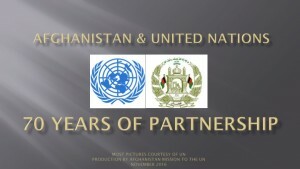 This is a partnership based on mutual commitments: the assumption of increasing responsibilities and implementation of reforms, including anti-corruption measures, by the Afghan government, and, on the part of the international community, a credible, strong long-term commitment of support and assistance to Afghanistan for at least a decade beyond Transition. I would like to take the opportunity here to thank Germany and especially Foreign Minister Westerwelle for Germanyâ€™s unparalleled arrangements for this conference. Since the Kabul Conference, the Government of Afghanistan has taken specific measures to improve governance, fight corruption and improve the delivery of basic services to the population. To help enhance the capacity of government institutions, and increase public confidence, we need our partnersâ€™ cooperation in phasing out all structures that undermine the authority of the government or duplicate the functions of Afghan state institutions. The Bonn Conference outcome also gives us several follow-up steps to translate our mutual commitments into concrete actions â€“ an economic conference in Tokyo next July, a regional cooperation follow-up ministerial conference in Kabul in June, a regional economic cooperation conference on Afghanistan in Tajikistan, and, of course, the NATO Chicago Summit next May. Among other things, in Chicago we hope to discuss plans for the long-term training, equipping and sustainability of our national security forces with our NATO allies. So we look forward to working with you in the months ahead to define our plans to those ends. At the same time, the finalization of the NATO Strategic Plan on Afghanistan paves the way for our effective and long-term partnership beyond 2014. The successful first phase of Transition this past summer was a milestone for us. The second phase, announced last week, will put Afghan soldiers and police officers in charge of the security of nearly fifty percent of the Afghan population. The Transition agenda overall is undoubtedly ambitious. Its full and irreversible success will continue to require a comprehensive and responsible approach, and extraordinary effort from both Afghans and our partners in the international community to succeed. We must strengthen our efforts to bolster the quality and capabilities of Afghan national security institutions in all areas so that they become a more confident, professional, effective, and self-reliant force. Afghanistan is committed to fighting terrorism, as well as illicit drugs, which finances terrorism and criminalizes our economy. As we continue the fight against international terrorism in our region, we need to pay particular attention to two crucial issues. First, we must realize that terrorism primarily comes from safe-havens beyond our borders, where terrorists find sanctuary, training, logistical support, and strategic guidance for attacks against Afghan and international forces, and civilian targets. Unless we deal with this regional dimension of the international terrorist threat, our gains in Afghanistan, and global peace and security will always be in jeopardy. Two, we need to maintain our utmost focus on protecting Afghan civilians. In this specific regard, I welcome and appreciate General Allenâ€™s recent guidance to ISAF forces on protecting civilians. Our attention to avoiding civilian casualties is already shifting the popular narrative in Afghanistan against the terrorists who have no regard for innocent civilians, as so grotesquely and cowardly illustrated by the terrorist attacks in Kabul, Mazar-e-Sharif, Kandahar and Helmand over the past three days. Transition is interlinked with the Afghan-led and Afghan-owned peace process, something that remains the surest path to a dignified, inclusive and durable peace for all Afghans. Despite continued attacks and the assassination of Professor Rabbani, head of the High Peace Council, the Afghan people want the peace process to continue. And it will. The recent Traditional Loya Jirga in Kabul, which brought together more than 2,200 representatives from across the country expressed their full support to the peace process. In the area of economic cooperation, we would like to work closely with the international community to shift development efforts toward supporting major infrastructure projects and creating real employment for the Afghan people, particularly in the agriculture, energy, mining, and education sectors. Regional cooperation remains crucial to the vision of stability and progress in Afghanistan. 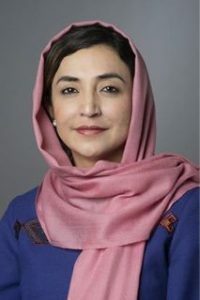 Through a number of initiatives, Afghanistan is reclaiming our historic role as a trade, transport and connectivity hub, and most importantly, as a catalyst for wider cooperation in the â€˜Heart of Asiaâ€™ region. The Istanbul Process launched last month on a promising path of taking concrete steps towards confidence building and cooperation in our region. Parallel to our sincere efforts to increase and strengthen meaningful regional cooperation to the benefit of all countries in the region, we are working with our key allies and partners in the international community on signing long-term strategic partnerships. This is something the people of Afghanistan are firmly behind; they expressed as much through their resounding endorsement of a long-term strategic partnership with the United States of America at the recent loya jirga in Kabul. The Afghan government attaches utmost importance and value to this partnership that will be built on the existing strong foundations of friendship, cooperation and shared sacrifices our two nations have borne in the fight against terrorism and in the struggle for a peaceful, secure, democratic Afghanistan. In addition to the strategic partnership we signed with India in October, we are also signing or negotiating long-term, strategic partnerships with other partners and allies, including the United Kingdom, the European Union, France, Australia, Italy and Germany. All of these partnerships will help us preserve and consolidate our gains, and ensure that Afghanistan never again falls victim to the sort of terrorism and disorder that will harm us, the rest of the region and the wider world. Afghanistan is entering a new phase of partnership with the international community, including NATO, as a sovereign, independent country. With the Transition process now in full momentum, we are at a critical stage in Afghanistanâ€™s recovery, stabilization and development. As we pursue the full success of the Transition process, pursue the reforms we know are necessary, including the fight against corruption, and enter our countryâ€™s Decade of Transformation, we will continue to rely on your steadfast, long-term support, friendship and assistance.